Behind the historic-listed facade of the former Allied Irish Bank built in 1863, The Westin Dublin has become a landmark in Ireland's capital. 163 guest rooms, the WestinWORKOUT ym , and an in-room spa service will restore the body, refresh the mind, and elevate the spirit.Our five-star hotel occupies a downtown city block opposite Trinity College. This superb city centre location puts the exclusive shops of Grafton Street and Dublin's business and financial districts within walking distance. Dublin's cultural quarter, Temple Bar, and Dublin's finest restaurants, shops, cafe, and entertainment are right outside our door.A mere crossroads more than a millennium ago, Dublin is now one of Europe's most enchanting and welcoming cities. 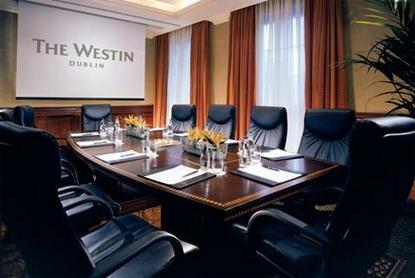 Today, the rich variety of galleries, shops, and coffeehouses counterpoint innumerable examples of the city's storied past.Experience a tranquil and rejuvenating retreat in the heart of the capital at The Westin Dublin.